I am getting ready to listen to the latest novel about Harry Dresden by Jim Butcher, “Changes” but I had downloaded and put on my iPod this story that occurs earlier in the timeline of the Dresden Files. So, I’m listening to this one first. The entire collection runs about 10 hours in audiobook form and I am continuing with the rest of the book, but I had to stop and let you know about this story. 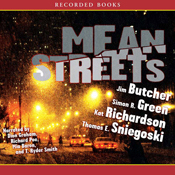 Before we go further let me tell you about the book “Mean Streets.” This collection of original novellas tied to popular crime/fantasy series which include; Thomas E. Sniegoski’s “Noah’s Orphans,” angel PI Remy Chandler must solve the murder of the biblical Arks builder, whose battered corpse is found on an abandoned oil rig. Simon R. Green writes with a slight humor that is similar to that by Jim Butcher in “The Difference a Day Makes,” in which PI John Taylor assists a woman who wandered into the the “nightside” a world hidden within London, and another noir type story by Kat Richardson’ “The Third Death of the Little Clay Dog” neatly merges noir conventions with a fantastical plot. I’ll let you know how those go when I finish the entire collection. “The Warrior” by Jim Butcher Reveals what happens to the Carpenter family after the events of Small Favor, this story takes place between Small Favor and Turn Coat. Michael Carpenter, a former Knight of the Cross has turned in his sword, Amoracchius. The weird part is that an Archangel has decided that Harry Dresden, wizard and non-religious, hold the sword until it’s new rightful bearer can be find. Harry, from a previous battle, after the death of another Knight of the Cross, Shiro Yoshimo, has possession of another sword, Fidelacchius. Many in the church cannot accept the fact that Harry, an non-believer, has possession of 2 of the 3 swords. In this story someone is sending Harry photos of the now retired and recovering Michael Carpenter. Harry assuming that Michael is in danger, goes to the Carpenter home and tries to warn him. On the way Harry saves a little girl from being run over by a car. At first this may just seem like a simple piece of the story, maybe more of a filler, but at the end that action makes the world a better place. That’s the way Harry rolls. Upon arrival at the Carpenter house, Harry explains the photos and concerned the Carpenters have Harry spend the night for safety’s sake. During the night someone tries to steal the swords, luckily Harry expected this and had fakes in plain sight while the real swords were hidden. On chasing down the thief, harry discovers the man is military trained and protected to an extent against magic. "The Warrior" A short story by Jim Butcher in the collection "Mean Streets"
The Demon Wars Saga consists of two trilogies and this book, Mortalis, which bridges the two trilogies. The first trilogy tells of Elbryan the Ranger, Pony the warrior, Bradwarden the Centaur, Avelyn the monk, and Juraviel the elf as they battle the demon dactyl, Bestesbulzibar and protect the land of Corona from his evils. Mortalis covers mainly the life of Pony after the war, and develops some new characters. Once again, GraphicAudio continues to produce this saga in audiobook form with their “Movie in your Mind” concept. R.A. Salvatore provided the great story, but GraphicAudio brings it to life with outstanding acting, super sound effects and subtle, yet effective incidental music. The Rosey Plague is wreaking havoc in the land of Corona, especially in the kingdom of Honce-the-Bear. The Abellican Church has ordered all its abbeys to be shut and the monks to stay within the walls, so no monk will catch the plague. This is ordered despite the suffering of the common folk outside the walls of the abbeys. 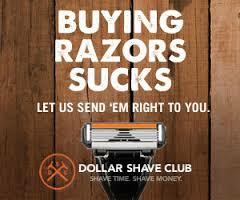 King Ursul has ordered the same for all baroneys. The common folk soon lose faith in the church and in their King. Brother De’Unnero after being turned down once again to be a father abbot, turns against the church and creates a cult following of Brothers Repentant. This following is going throughout the land preaching that the plague is brought on as the wrath of God because the church has lost it’s way and the people are sinful. He begins killing those that do not denounce their faith for his religion. In the meantime Jilseponie (formerly, Poney) is trying to find a cure for the plague, using all her magicks. During a spirit-walk Lady Dasselrond of the Touel’Alfar gives her an ancient scroll where a relief, not a cure, is written to help ease the suffering. Then a vision from the martyred Brother Avelyn may give her the cure, but is it too late? This exciting conclusion takes the listener back to Mount Aida, to where the demon dactyl, Bestus Bulzibar was destroyed and throughout all the baroneys of the land. Once again the adventure is only made better by the outstanding production from GraphicAudio. Every time I listen to one of these pulp fiction stories I get so lost in the story that I forget where I am. I was driving around while listening to this book that I forgot completely where I was supposed to be going. The audio production in these audio books is superb. Everything from the acting, the incidental music and the sound effects are perfectly produced. The voice acting in these stories carry the sound of the old fashioned radio shows with larger than life characters. This comes a lot from the style of writing that L. Ron Hubbard used when writing for the pulps. The characters and their dialogue at first may seem cheesy but when taken as a whole some of the stories just wouldn’t work without that cheese factor. The cheese factor actually is what makes these stories fun, so don’t think of cheesy as a bad thing, quite the opposite. The incidental music that occurs between chapters or sections in the story was composed specifically for the entire run of “Golden Age Stories” from Galaxy Audio. 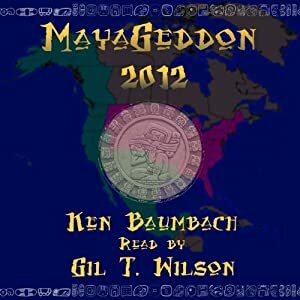 Galaxy Audio has gathered all the short stories and novellas written by L. Ron Hubbard during the 30s through the 50s and have been releasing them as audio pulps. (The audio books also have a paperback “pulp” version for those that want the books.) The music is over the top and subtle at the same time, just plain perfect for these stories. The sound effects are placed subtly throughout the stories. 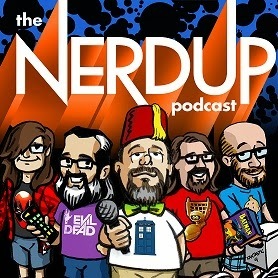 They don’t overwhelm the listener with sound but they move the story along, at times I would hear the effects and appreciate the subtlety of letting me know when a rocket was blasting off, for example, but not detracting from the dialogue or narration. This audio pulp consists of three stories from the golden age of pulp fiction. This story was originally published in Unknown Fantasy Fiction, October 1940, under the pseudonym Rene La Fayette, and is a simple tale of a man unwilling to watch the world as he knows it vanish. The main character, Old Shellback is the most stubborn man in the universe, he goes in for an eye exam but the doctor’s computer says he’s depressed and should see the new messiah that is changing the world. Old Shellback simply wants glasses because he can’t believe what he is seeing. The Messiah tells Shellback he needs to conform and believe everything or the entire world will not believe in him. Once the population stops believing in Shellback everything disappears. Shellback discovers that to create his world he needs to simply think it into existence and then believe in it. The Messiah doesn’t want Shellback to re-create the world and tries to stop him. Originally published in Astounding Science Fiction, December 1949, is a fun story about practical jokes. This one brought out some fun memories of my Navy days. When someone was new to a ship the old salts would have fun with the newbie by sending them on errands that were basically practical jokes. Errands like fetching a bucket of relative bearing grease. All bearings need grease, but in the Navy a relative bearing is where an object is in relation to yourself or the ship. Or maybe send the newbie after three feet of water line. The navy term “line” refers to rope or string, but the waterline is the point on the ship that above that line is above the water and below that line on the hull is below water. Well in this story a new ensign assigned to as space station and sent to gather a quart of Rudy Rays. The Chief that sends him on this fools errand is surprised when he finds the ensign blasting off into space. Soon the rocket is lost and the chief is in trouble for sending the young man out alone as a practical joke, but the ensign comes back and the surprise is what happens next. Originally published in Thrilling Wonder Stories, December 1948, tells the tale of the importance of the USA being the first to land on the moon. After partying on the night before he is to be the first man on the moon, First Lieutenant Cannon “Angel” Gray, wakes up with a killer of a hangover. Just as the rocket is about to launch the ground crew look up at the moon and see the letters “USSR” written on the moon. The USA is not the first on the moon, it’s the Russians, this closes down the US space program, and soon the Russkies have nuclear missiles aimed at the earth, on the moon. The USSR is then overthrown by the Commander on the moon and he soon calls himself the ruler of Earth. When some supplies are needed, Angel is called to man a mission to the moon to possibly overthrow the leader. Can the USA regain power, listen to this exciting tale and find out. L. Ron Hubbard wrote many stories that were published in the old pulp magazines of the mid 20th century and thanks to Galaxy Audio (and Galaxy Press) these Golden Age Stories can be enjoyed today. thank you very much.. you have help me alot with your writing..
thank you very much.. your writing has help me a lot.. really appreciate it.. If you’re like me you’re probably missing the great series on Sci-Fi channel (I’m sorry I cannot stomach SyFy). I loved the series and watched religiously every episode, I couldn’t wait for the next episode to see what would happen next. But sadly the series ended. Sure Sci-Fi now has “Caprica” which is a prequel to the series, but it’s just not the same. Once again books come to my rescue, in searching for BSG books I found several that I’ll be tearing into. There’s the original written by Glen Larson from back in the 70s, I’ve already read that one. Then Richard Hatch made a run at some BSG 70s era books, but to my pleasure, there are a few written in the re-imagining of the latest BSG books. Here is the first, simply titled “Battlestar Galactica.” This book covers the events in the mini-series which launched the 5 season series. For forty years mankind experienced peace, that was about to change. Man created Cylons, mechanoids that did the work of man. But the Cylons rebelled, they developed sentience and after the Cylon war agreed to go to their own part of the universe so the two “races” could exist separately at peace. To ensure the peace an armistice station was set up so the two could meet annually to ensure the peace was kept. After the first year the Cylons did not show up, but to keep up the human side of the bargain, a representative from the 12 colonies would show up and after 3 days leave. This last time the Cylons showed up. This time to destroy mankind. The Cylons have evolved, they now have 12 models that appear human in every aspect, even bleeding when shot. 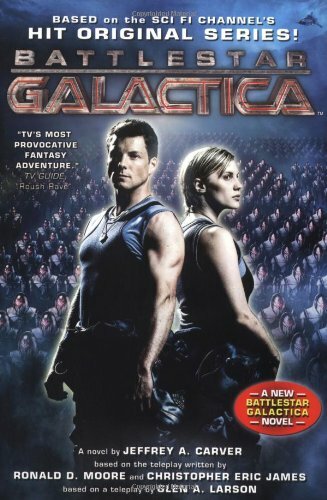 This book covers the events where the Cylons have destroyed the colonies and the few survivors of the human race, led by President (formerly Education Secretary) Roslyn and Battlestar Galactica commander Adama. The surviving members of the human race attempt to follow the 13th colony which centuries before left to colonize Earth. Whether you have seen the series or not this is a very interesting book. Being a fan of the series, reading this book was a breath of fresh air, in that I could relive the exciting series. The writing is pretty much a good copy of the screenplay, in that I could easily picture Edward James Olmos giving orders. Now I’m off to find other books that may tell side stories from the series, it was nice to revisit, but I’m hungry for new material. The author of “The Exorcist” has a new book out, but don’t let that fool you into thinking it’s a horror novel. While this book does dwell into some mysticism, it is pretty much a spy thriller. When I first received the audio book I noticed it was read by the author. In audio books this can be a hit or miss situation. In this case I think the jury is still out. The hit is that the author knows what he wrote and what he intended and can impress upon the listener the ideas that are most important in the story. The miss is that while William Peter Blatty has a very interesting voice, at times it is very monotonous and lulls the listener. Also Blatty is not a voice actor and does not distinguish the separate voices within character dialogue. I became very confused as to who was saying what and many times in this book I was lost. Some of that being lost may also be attributed to the twists and turns Blatty wrote into this tale. In fact, not until the very end is it all explained, and even then there’s a bit of mystery to the ending. The story opens in the 1970s in Albania, when a prisoner suspected of being an enemy agent is capture and subjected to horrendous torture. The prisoner is subjected to severe pain but at no time shows pain in either voice or action, in fact he maintains an eerie silence and at times by a simple glance changes the mood of his torturers. The prisoner escapes and completes the mission. The prisoner is known as Dimiter the American “agent from Hell.” Dimiter is notorious for taking on the harder missions and completing them with no error. The story then jumps to Jerusalem’s Hadassah Hospital and a series of unexplained deaths encapsulate the a strange mix of personnel. They are all intertwined in the story as the deaths are unfolded and Dimiter’s final mission is exposed. The confusion in deaths is mainly the identities of who dies, when one person is discovered dead they name on their papers is not the name of the who the person is. Many times it seems as though the body is Dimiter. But not until the final briefing between American CIA and Israeli forces does the body count begin to make sense. 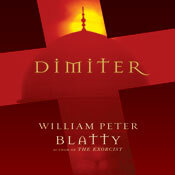 But then after it is all figured out, Blatty throws a final curve ball and the story may not be over. All in all a very interesting book covering the issues of vengeance, soul searching, loss and love. probably been a fool’s errand. IMHO, of course. Maybe for the reading of “The Exorcist” he did a better job. All I know was that all voices were the same w/ no changes in voice in characters, only in emotional level. I’ve listened to several audio books and several audio book narrators and judging against those, he did not ‘act’ for this reading. I had to re start several sections of the audio many times just to clarify who was saying what. because in those times it made a difference to the story. I’d have to listen to the audio to comment sensibly, although are you telling me that when professional readers narrate the voice of a character who is a woman their voices are pitched to a falsetto? And the voice of a child becomes “piping?” Perhaps they do. Just asking. yes in a sense…but usually only subtly. One of the best out there is Scott Brick, he makes subtle voice changes that leaves no question that a different character is talking.